Built in carrying handle and sturdy enough to support an adult. 5 and 10 in. high steps. 16 CFR 1500, 16 CFR 1303 and ASTM F963 compliant. Warranty: One year limited. Made from solid pine wood. Made in America. No assembly required. 13 in. W x 12 in. D x 11 in. H (7 lbs.). 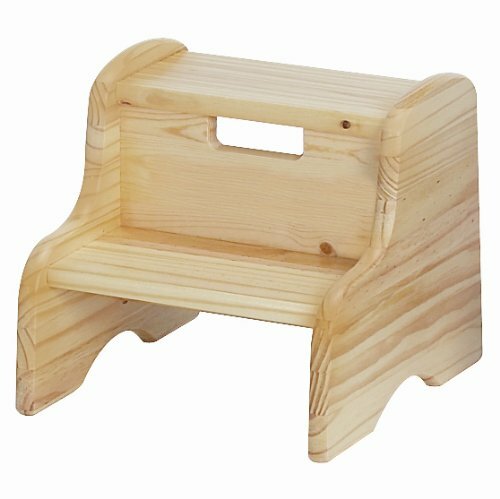 For use in the bathroom, bedroom, closet, kitchen anywhere children need a handy step up.